For decades, small arms advocates have pushed for a replacement for the M16/M4 weapons carried by most soldiers, Marines and special operators. And despite long-running programs that have come on the scene and later floundered before being canceled, the much revised 5.56mm weapon and its similarly chambered light machine gun counterpart have continued to be the mainstay of squad-level firepower. But news over the past year, from the secretary of defense to service chiefs and heads of small arms programs across the force, has revealed the potential for an actual replacement of the weapon first delivered to troops more than half a century ago. And that weapon is expected to do far more than simply shoot a bigger bullet and weigh less. Instead, it is designed to be the centerpiece of a more lethal fighting force as ground combat troops see evolutions in their training and equipping take place more rapidly than they’ve seen in decades. Next summer, prototypes of the new weapon are expected to be ready for test fires. By the end of next year, an advanced night vision and sophisticated targeting system will be reaching troops. All with the goal of getting more rounds downrange, on target and exceeding anything adversaries have in their inventory or will have for years to come. 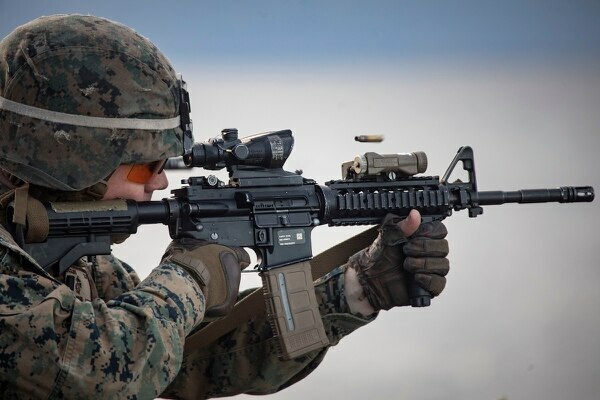 Though it is an Army program, Marines and special operations forces have been involved in providing feedback on weapons development and will receive the new weapon when fielded. Marines are already scheduled to get thousands of the new night vision devices the Army plans to start fielding late next year. The Next Generation Squad Weapon program aims to bring a new caliber that will reach farther, hit harder and do so with greater accuracy. At least initially, the M16/M4 will stick around, as the new weapon is geared for close combat units such as infantry, scouts and special operations. 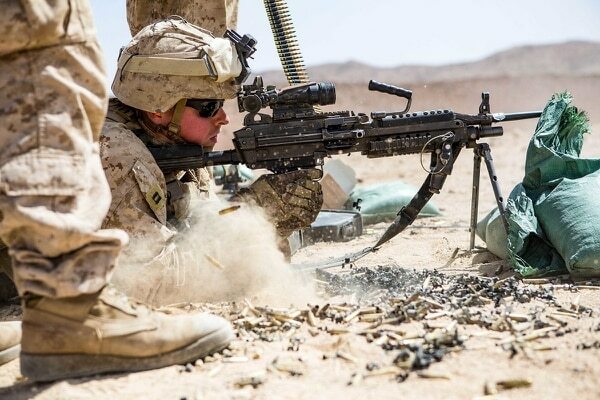 The Army published a prototype notice in October showing that the Army and Marines will be evaluating 6.8mm light machine gun and rifle/carbine designs, keeping the same calibers within the squad, as is the case with 5.56mm today. To those not closely tracking ammunition developments, the 6.8mm caliber, which falls between the 5.56mm and 7.62mm calibers, may appear to have come from nowhere. But a round in that caliber proved its mettle nearly a century ago, and ongoing analysis of the 6.5 to 6.8mm caliber range has been key among a subset of experts for more than a decade. In 2008, Dr. Gary Roberts, a wound ballistics expert and retired Navy officer, outlined long-term failures of U.S. small arms and ammunition during a presentation at the annual National Defense Industrial Association Armament Systems Forum. Roberts cited Army caliber trials in the 1920s in which the service selected the .276 Pederson caliber. But production of the Garand T3E2 rifle was stopped in favor of chambering the next combat rifle in a .30 caliber variant because of a surplus of that ammo left over from World War I. After World War II, the United States developed the 7.62mm T65 cartridge, which features nearly identical ballistic characteristics to the battle-proven .30-06 round. It then pressured NATO to adopt it as its standard rifle cartridge instead of options in either .270 or .280 (6.8mm and 7mm). 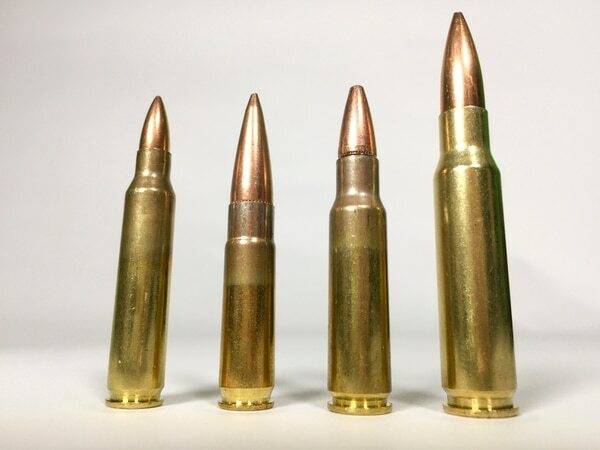 A push in the late 1950s toward a lightweight rifle with lightweight ammunition led to the adoption of the 5.56mm, based on the .223 Remington round, typically used for small game or varmint hunting in the United States. At the time, the lightweight, high-velocity rounds were considered more accurate, causing more devastating wounds from the tumbling of the round and fragments, and an effect known as “hydrostatic shock” — though a number of critics have since disputed both assumptions. The 6.8mm development and testing a few years later included Special Operations Command, the Army Marksmanship Unit and the Army Armament Research, Development, and Engineering Center. ARDEC spokesman Eric Kowal told Military Times that in 2004 the center conducted a terminal ballistic study evaluating body armor plate penetration. The study determined calibers between 6.5mm and 7mm were the most efficient. A 2006 Joint Service Wound Ballistics-Integrated Product Team report showed the “clear and unequivocal best performing” cartridge tested was 6.8mm. In 2007, the Army’s 5th Special Forces Group approached ARDEC with interest in the 6.8mm Special Purpose Cartridge. ARDEC evaluation deemed the caliber “very effective” in an assault rifle platform, Kowal said. Roberts wrote in his presentation that testing to develop the 6.8mm looked at bullets including 6mm, 6.5mm, 6.8mm, 7mm and 7.62mm. In 2015, the Small Arms Ammunition Configuration Study showed similar results, pointing to an intermediate caliber as the best option. But the study pushed for higher muzzle energy for extending range and lethality at impact, while maintaining bearable recoil and consistent accuracy. Kowal couldn’t share ballistics data but confirmed that the muzzle energies of current intermediate caliber systems are “two to five times” higher than 5.56mm. Before the Next Generation Squad Weapon program began, multiple experts floated the idea of refitting existing weapons similar to the M16 and M4 variants with the intermediate caliber. The late Jim Schatz, a frequently cited small arms and ammunition expert, presented a detailed evaluation of the shortfalls of the U.S. small arms portfolio at the 2015 NDIA Armament Systems Forum. He highlighted adversaries’ use of 7.62mm weapons within their infantry units, which overmatched the U.S. 5.56mm weapons. But Schatz didn’t call for a redesigned, revolutionary rifle, in part because past efforts at such leaps ahead had failed spectacularly. For instance, the 1980s-era Advanced Combat Rifle program, which was one of many programs to replace the M16. The ACR program tested prototypes from four companies, some of which fired steel darts known as flechettes rather than conventional bullets, while one fired caseless ammunition. Rather than an overhaul, Schatz advocated for switching to the intermediate caliber on the existing platforms, with adjustments that included integrated suppressors, tailorable weapons systems, polymer casings, recoil reduction, one-way tracers and improved fire controls — all technologies in the commercial market. Officials opted instead for somewhat of a clean slate, but with echoes of past programs and technologies that have been in development for decades. They also focused on integrating advanced targeting, data and training as the path to advancing small arms lethality. The weapon and its fire controls will become the core of the individual soldier’s way of training and fighting, Milley said. The real difference is the untethering of mock-up training simulators with fake guns and bulky Virtual Reality headsets. The night vision device and weapon that the troops will carry into combat will be the same items used during ranges, combat training center rotations and real-world deployments. And to maintain that true-to-life training, the way troops engage targets will mirror how attack helicopter pilots find and finish their adversaries. That will be through the use of the FWS-I, or Family of Weapons Sights-Individual, an all-in-one optic under development by Army researchers that pairs a rifle-mounted camera with night vision goggles and a heads-up display to allow the weapon sight to be displayed in the optic through a range of obscurants. Experts at the Army’s Maneuver Center of Excellence are an integral part of figuring out how the new weapon will be employed in the formation and in small unit tactics. 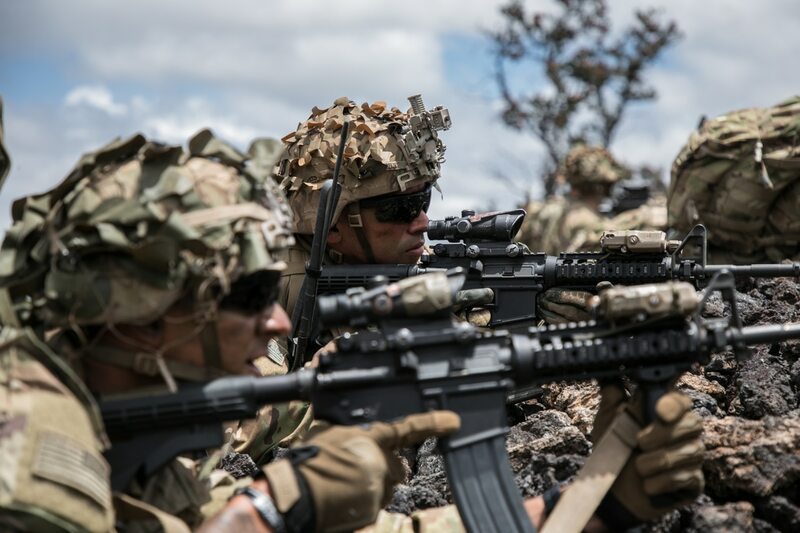 While the weapon extends ranges for the individual soldier beyond the current M4, from 300 meters to 600 meters, it does not change the fundamentals of marksmanship training. Daryl Easlick, small arms deputy at the Maneuver Center of Excellence’s Lethality Branch, said that good shooting skills remain at the core of training. 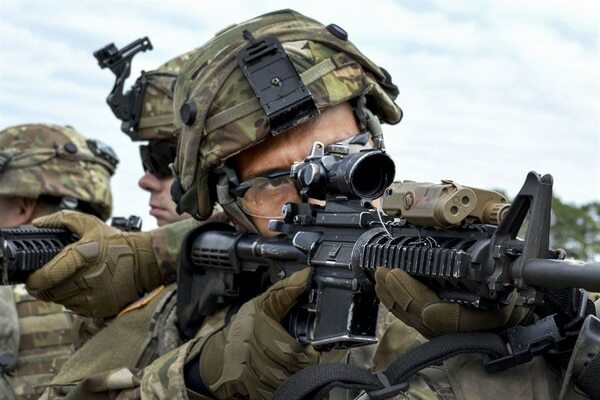 While detailed training evolutions have not yet been determined, soldiers will likely still shoot on iron sights with an M4 early in their training and transition to optics and other enablers such as aiming lasers later in their training. The NGSW will flow into that training model. Early tests have shown that while the new fire control system, which includes a disturbed reticle integral to the new weapon, will ramp up accuracy and decrease target engagement time, the soldier still must know how to shoot to take the most advantage of these new technologies. If you shoot well, fire controls will be more beneficial, and you’ll make more use of it than a less competent shooter, Easlick said. In recent years, the Marine Corps has been experimenting with a variety of changes to its squads. One of those was switching to the M27 Infantry Automatic Rifle over the M4. In one experimental squad, the Corps also armed all members with a grenade launcher, giving each of them the firepower of both a grenadier and light machine gunner. That way, a squad leader or platoon leader could mix and match the firepower on the fly. Easlick said that the new weapon extends the firepower of the individual soldier but not necessarily the squad, which already has a Squad Automatic Weapon for sustained rate suppressing fire. With a 6.8mm weapon, the squad has the same coverage as before but at greater distances. “Does that change how we do an ambush or raid? No,” Easlick said. As always, terrain is a factor, and the enemy’s measures and countermeasures influence tactics, techniques and procedures. For example, Easlick said, in a jungle environment, natural terrain features will prevent soldiers from shooting at the extended ranges the weapon provides. Likewise, ranges are often limited in urban environments, though the increased power and barrier penetration of the 6.8mm will give shooters better options against certain urban obstacles. While marksmanship fundamentals remain standard, some of how soldiers shoot in the near future will likely look different than in the past. The rifle shoots farther, but Army spokesman Lt. Col. Christopher Ophardt told Military Times that there are already sufficient ranges for qualifications and training on the new weapon at Army installations. However, the weapon’s capabilities will factor into future decisions on range modernization. Much like how shooting shifted from known distance and iron sights to unknown distance, moving targets and optics, as the technology advances, so will the training. I was in the army when they changed from the M1Grand to the M14, didn't like it at all. Had it leaned up against my side while I straighten my shirt, it fell backwards and the upper hand guard hit the edge of the curb, plastic went every where. The 14 shot OK, ranger officer in Germany tried to get me on the NATO rifle team, but a top secret clearance prevented that, too costly to replace me with all the background checks.